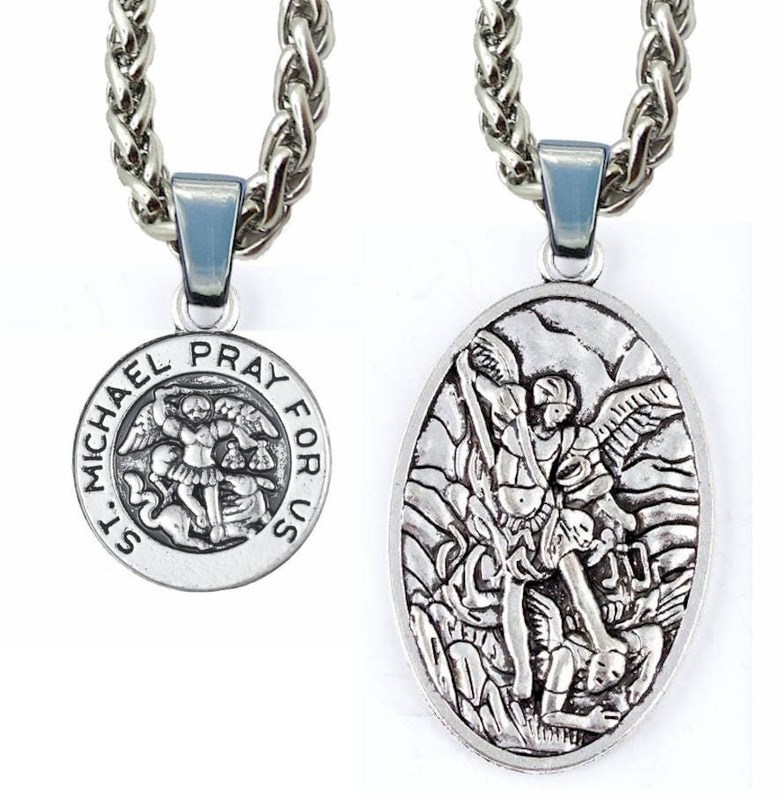 Cast Silver Saint Michael Medal St Michaels Medal Medallion comes with our exclusive Heavy Stainless Steel 4mm Braided Chain. When your order select your Medal size and select either large or small. 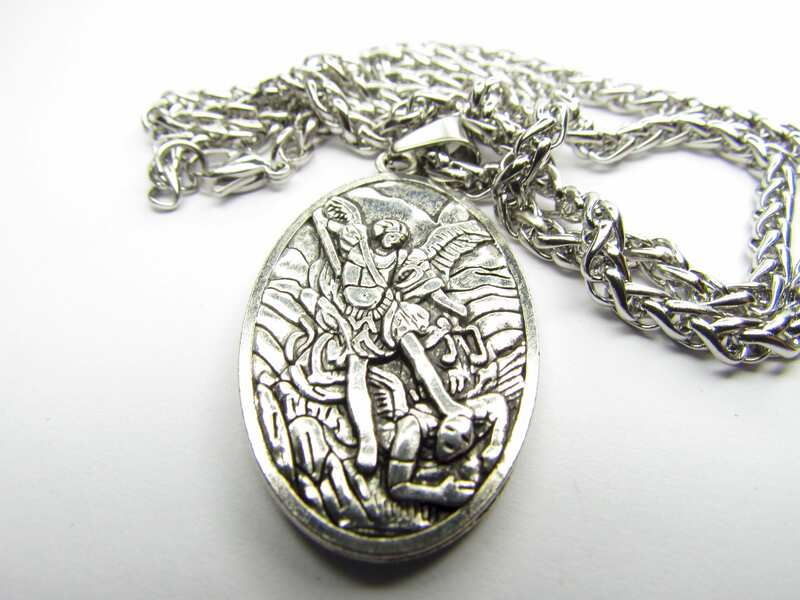 o The LARGE Medallion is 1" wide x 1 1/2" long and has a different image on each side (see pictures). 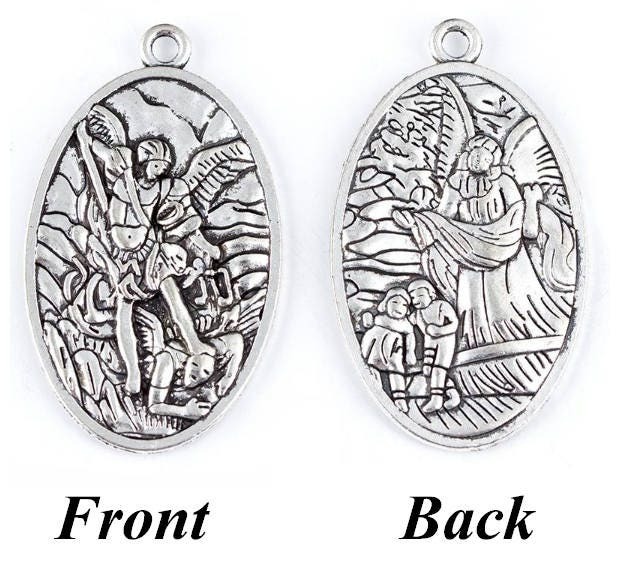 o The LARGE Medallion is round, 3/4" wide, and has a same image on each side (see pictures). 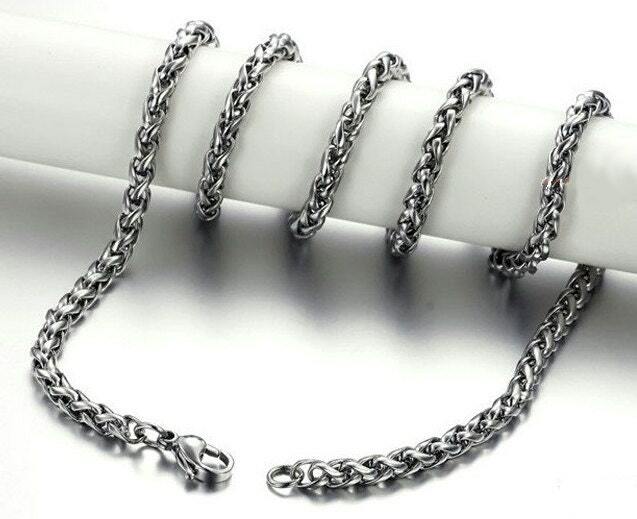 BONUS - Each Medallion comes with a SUBSTANTIAL Silver Stainless Steel Braided Chain that is 4mm wide x 20" long! 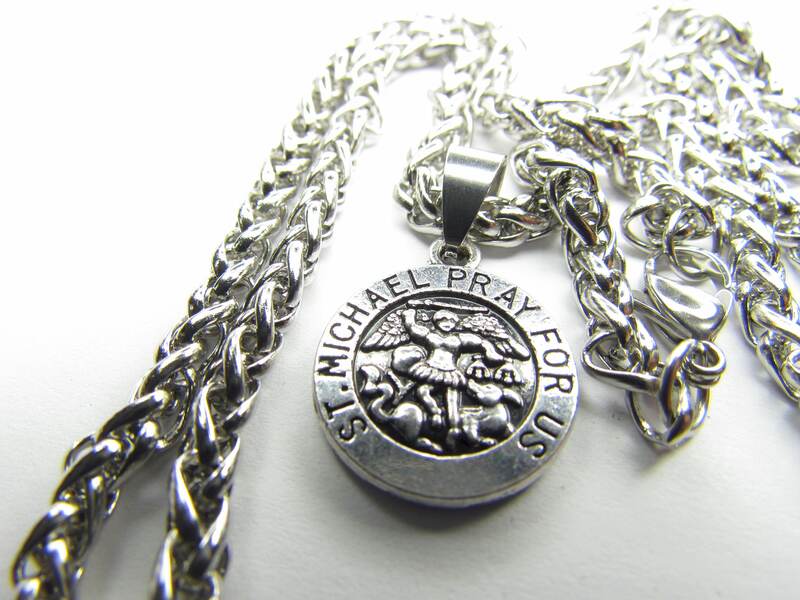 A Saint Michaels Jewelry exclusive offer! 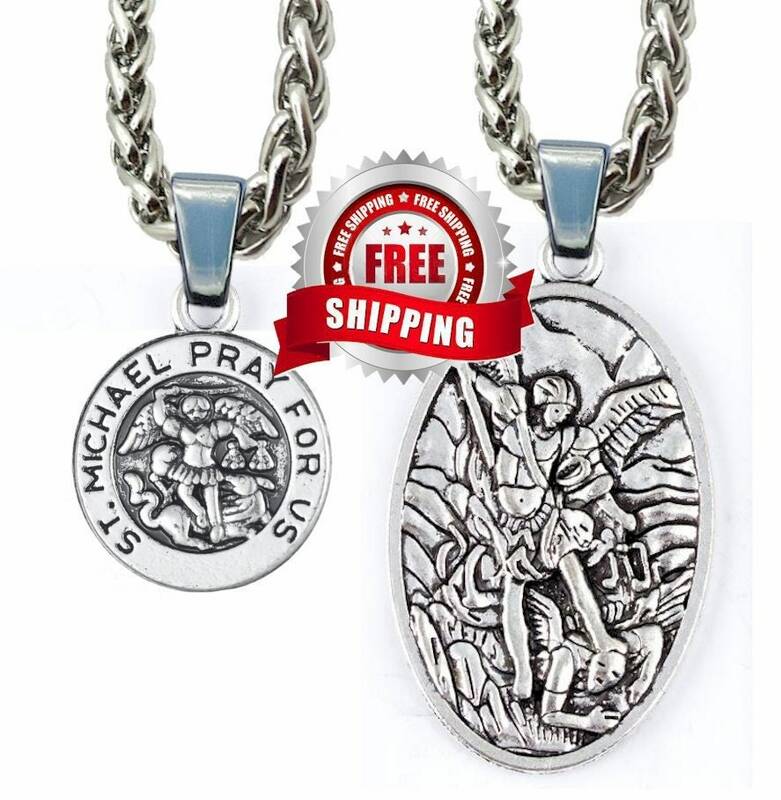 Saint Michael is Patron Saint of Police Officers and Soldiers. 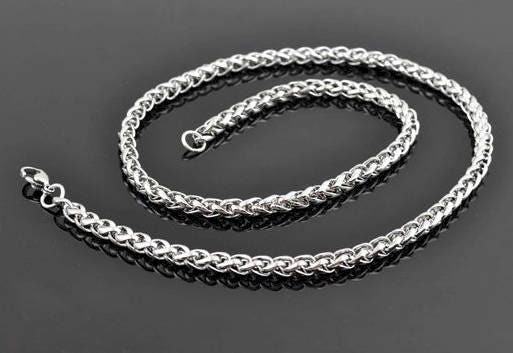 Each Medallion produces a timeless keepsake with both dimension and texture. 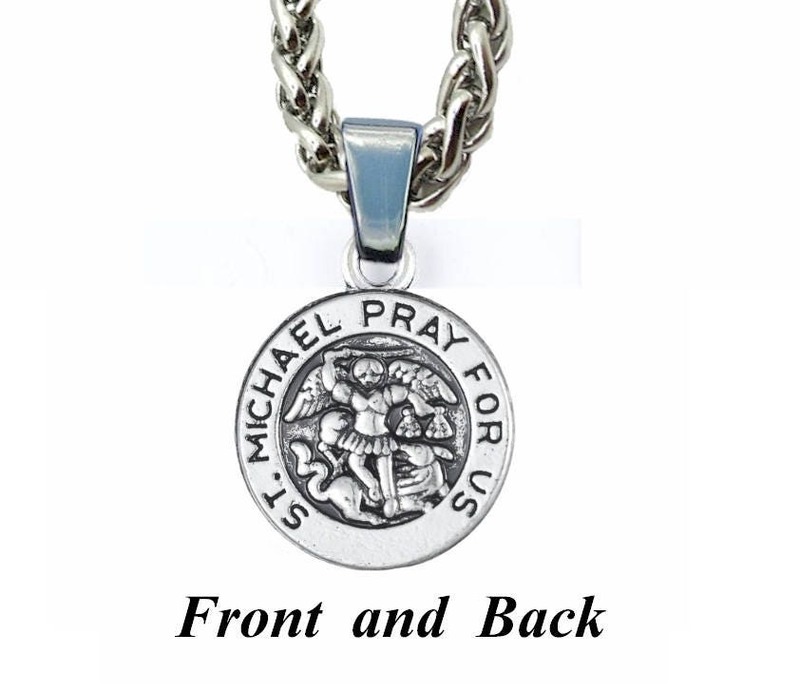 Another Saint Michaels Jewelry exclusive offer that you will find no where else!